We received the mentioned product from Feltman Brothers in exchange for an honest review. The thoughts contained within this post are ours and may vary from the thoughts of others. Tis the season to look handsome! In the Holiday Knit Two Piece your little prince will look just right this holiday season. The outfit is made out of fine white knit with ribbing along the edges, and has a sharp pointed collar with sweet red bullions along the border. The front features a dainty shadow stitch holiday tree with red bullion details, all hand embroidered. Dress your little boy in this knit two piece from the Feltman Brothers Holiday Collection and watch him steal the hearts of all who see him! Feltman Brothers has been a favorite company of ours ever since William was born in early 2017. They have provided us with numerous outfits that always get the best compliments and make for amazing photography. Their Holiday Knit 2 Piece doesn’t disappoint. This year we have made it a focus to not have so many toys, to give more and to make a lot of opportunities for family time. Our boys are appreciative of this and I find that I have so many opportunities for photography with them as well. I am excited to say that this December we will be seeing some snow and taking a little winter getaway. This outfit will be coming along and we hope to get some great Christmas photos for cards of our boys. William is more into things this year and understands a lot more than he did as a mere 9 month old last Christmas. He is running everywhere and enjoying life to the max. I absolutely can’t wait to see this outfit in some holiday themed photos but also to take William to see family and friends this holiday season and hear what they think of this! I love Feltman Brothers because while the clothing is high quality it is also comfortable for William. I also find he is easy to change, especially in a 2 piece such as this one. 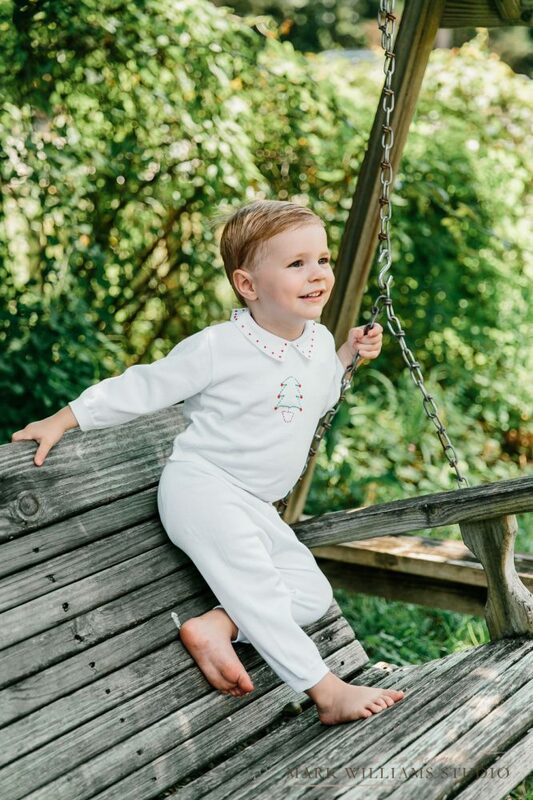 Retailing for $56.95 the Holiday Knit 2 Piece Outfit is the perfect gift for any little one this Christmas! They have other great finds too such as bibs and outfits for girls, too. Check out our 2018 Holiday Gift Guide for more options for gifting the little ones in your life!